Why is Coimbatore called the Manchester of South India? 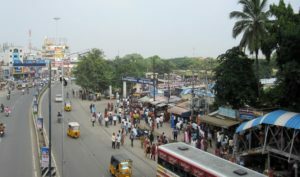 Coimbatore, positioned on the banks of the Noyyal River, is the second largest city of Tamil Nadu and 16th largest urban agglomeration in India. Surrounded by the Western Ghats, this city covers an area of 642.12 km2 and offers reserve forests on the northern side. As it provides more than 40% of India’s motors and pumps requirements, this city is popularly known as the pump city of India. The city which is one of the fastest growing tier-II cities in India is also regarded as the Textile City of South India and Manchester of South India. It is also rich in exporting wet grinders, jewellery, poultry and auto components. Coimbatore offers a wide range of handloom products. It is also rich in the industrial products like Steel Castings, Electronic Goods, Machine Tools, Automobile Spares, and Consumer Products like Motors, Pumps, Wet Grinders, Mixie, Hosiery Goods, Textile Cloth, and Yarn. Tamil Nadu has 600 textile mills in which Coimbatore hosts 300 plus mills. These are the reasons behind its nickname, the Manchester of South India. “Coimbatore was a natural choice for the textile industry because of the cotton production here and the climate. The black soil here was fertile for cotton production, and the weather here had the perfect conditions for yarn production. Though today there is technology readily available for yarn production, earlier it was the natural weather which supported this industry. The weather here had the right humid conditions for yarn production,” said Southern India Mills Association (SIMA) secretary general Dr K Selvaraju. It has been a preferable choice for the textile industry startup. Why is Coimbatore called the pump city of India? Coimbatore fulfils more than 40% of motors and pumps requirements of the country. It has been manufacturing the pumps for more than five decades. With immense growth in the pump manufacturing industry, the city is likely to be regarded as the Pump City of Asia. In recent years, pump manufacturers from America and Europe established their shops in the city which is gradually emerging as the Pump City of Asia. “Pump manufacturers in Coimbatore should look beyond agricultural and residential pumps and diversify. They should start making industrial pumps if they want to stay in the business,” said the director of Ekki Pumps, Kanishka Arumugam. 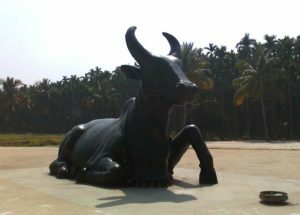 What are the best places to see in Coimbatore? What is the best time to visit Coimbatore? Coimbatore is a city of a tropical wet and dry climate. Due to the northeast monsoon, the people living in this city get a wet season that lasts from September to November. Even though the mean minimum temperature of this city ranges from 19.8°C to 35.9°C, the lowest and highest temperature ever recorded were 9.7°C and 40.4°C. Coimbatore, especially the elevated regions, receives a rainfall of around 700 mm from June to August.